Worth finished work a little early feeling very tired and achy. Gates at home had not been idle. She had been rubbing the front door down prior to painting it. Worth felt there was more prepping to do. Seems he lacked tact saying this. 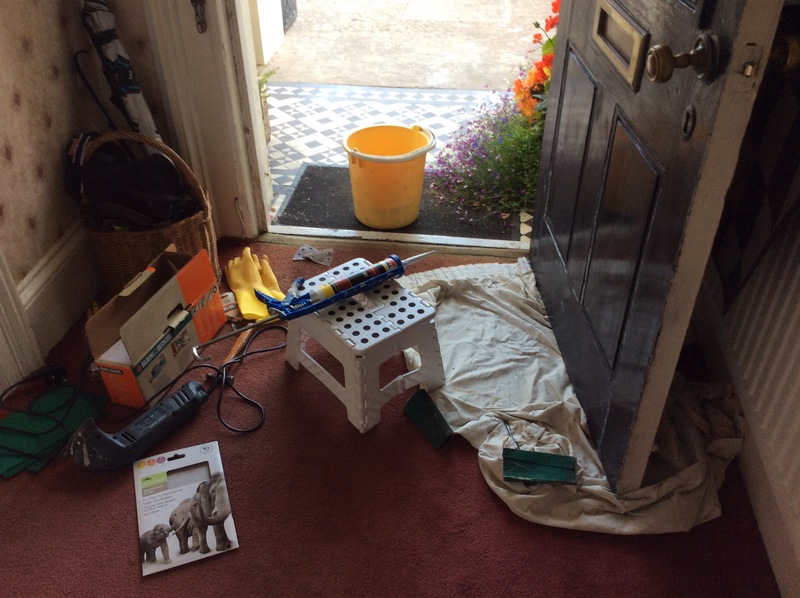 On consideration Worth is pleased that the plastic bucket in the picture was not stuck on his head using the sealant gun, also visible in the picture. On further consideration, Worth wishes that Gates had stuck the bucket on his head using the sealant gun. It would have been far preferable to the telling off he received instead.